We’ve been growing in popularity and it was time to upgrade the server and DNS for this site. We’ve made two big upgrades. First off, we moved our Primary DNS to CloudfloorDNS.com, a great managed DNS provider with a fast Anycast DNS network that you should check out. We also use them for DNS Failover, so when and if the cloud server goes down, the WWW record actively fails over to my backup server on my fiber network. It works well. 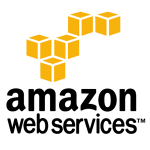 We’ve also moved our server off our fiber network and onto the great puffy cloud – Amazon Web Services aka EC2. You’ll notice that the server is snappier and I hope you enjoy the upgrade. Check out these two great service providers by clicking on the logos.